Reason is easy to get started with, yet as deep as you want it to be. 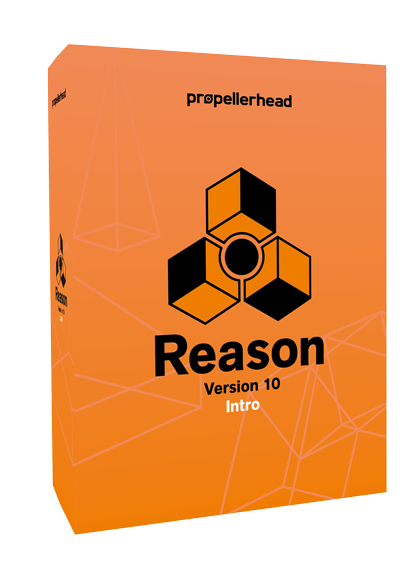 Create, compose, mix and finish your music – Reason will help you along the journey, from inspiration to mixdown. Find sounds and instruments in the browser, drag the ones you want to the rack, compose in the sequencer, and bring it all together in the mixer. 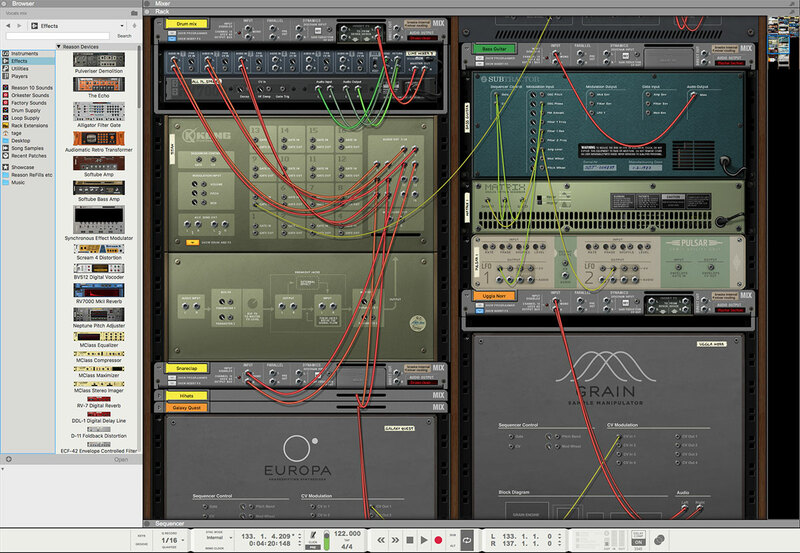 The rack is the heart of Reason's creative flow. 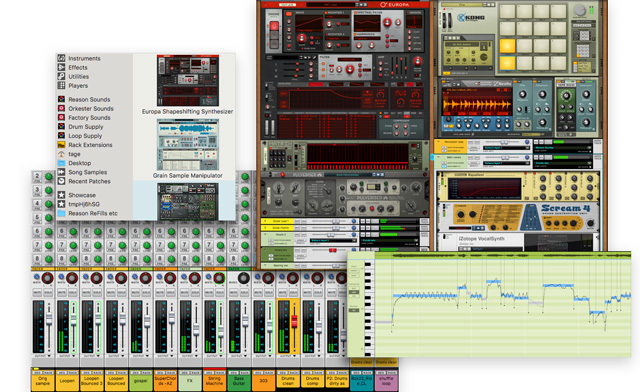 You build your rack as you create your song, adding the instruments, sounds and effects your music needs. All instruments and effects are automatically connected for you. For endless options, flip the rack around and route audio and CV any way you like. Faithfully modeled after legendary studio technology, Reason’s mixer is where you glue your mix together and add that final polish to your sound. 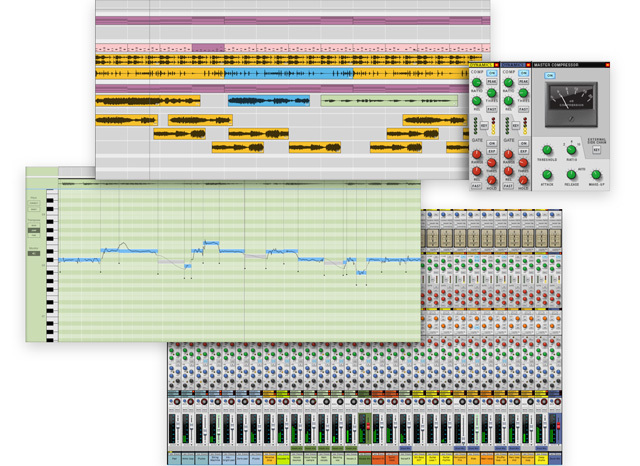 Turn your ideas into music with Reason’s arsenal of instruments. Play, tweak, mix and combine as many of each as you can possibly want. From stacks of buzzing sawtooths to shimmering sonic explorations, Reason’s new monster synth has you covered. Drop any sample into Grain and explore the expressive and abstract sound of granular synthesis. Semi-modular instrument with God-like synthesis power. Mix and match from 50 years of synth history. 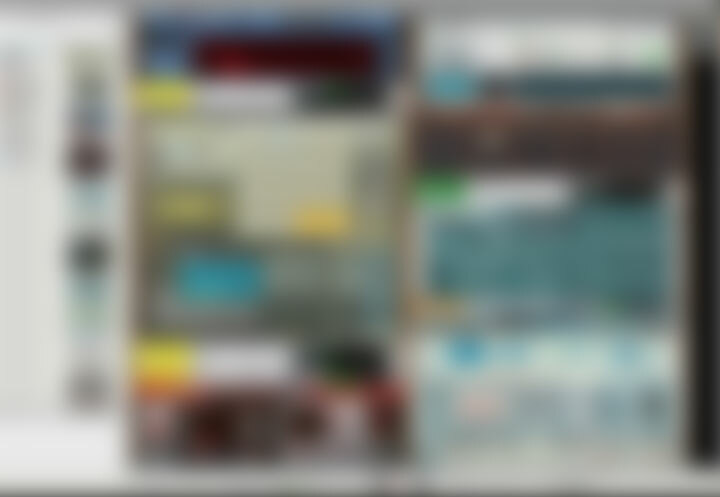 16 pads of complete inspiration. 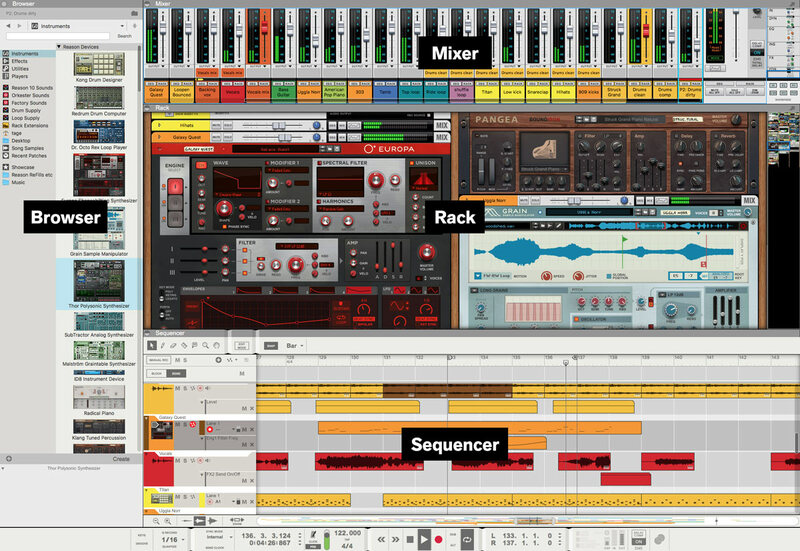 Use samples, synthesis, physical modeling and effects to build the drum machine of your dreams. Versatile and flexible loop player that turns static loops into playable musical instruments. Realistic and unique pianos based on a custom blend between sampling technology and physical modeling algorithms. 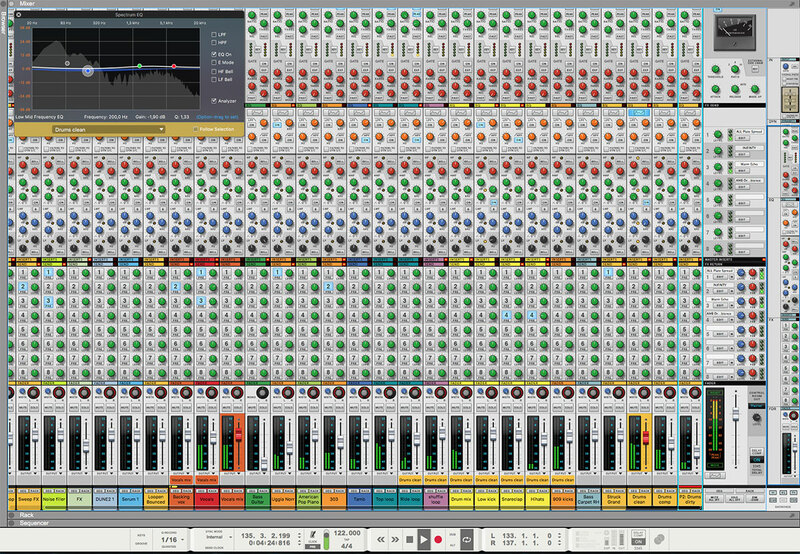 From subtle touch to outright sonic mayhem – color your music with Reason’s broad selection of effects. 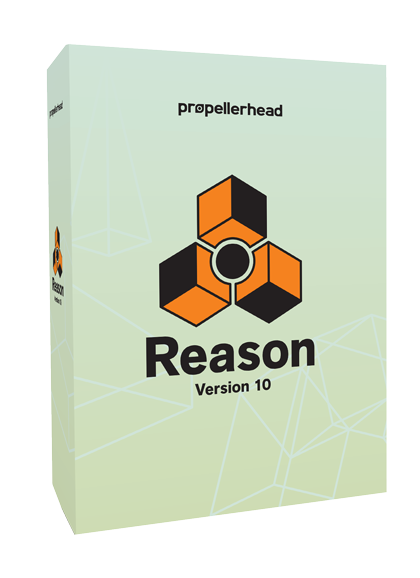 Sophisticated yet easy to use with multiple reverb models, including an advanced Impulse Response reverb. A multi-talented echo effect mixing the perfection of digital delay with the warmth and character of vintage tape echo units. Bring your music to life with Synchronous’ modulation effects. Polish your sound to perfection with the MClass professional mastering units. 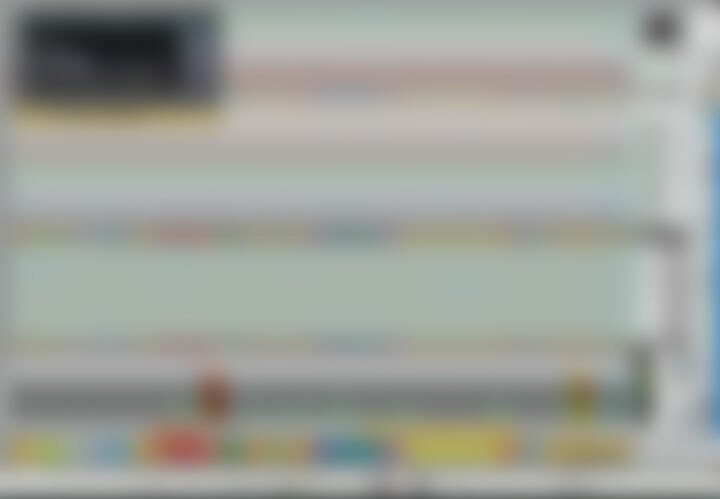 Use on individual sounds or your entire mix. Combining compression, distortion, filter and modulation, the Pulveriser is a beast of a processor that makes just about anything sound better. Oozing with attitude and featuring a fistful of amp and cabinet models, this is one amp that will never let your down. “Certainly the power that both Europa and Grain offer alone seems worth it. Make music without technical distractions to break your flow. 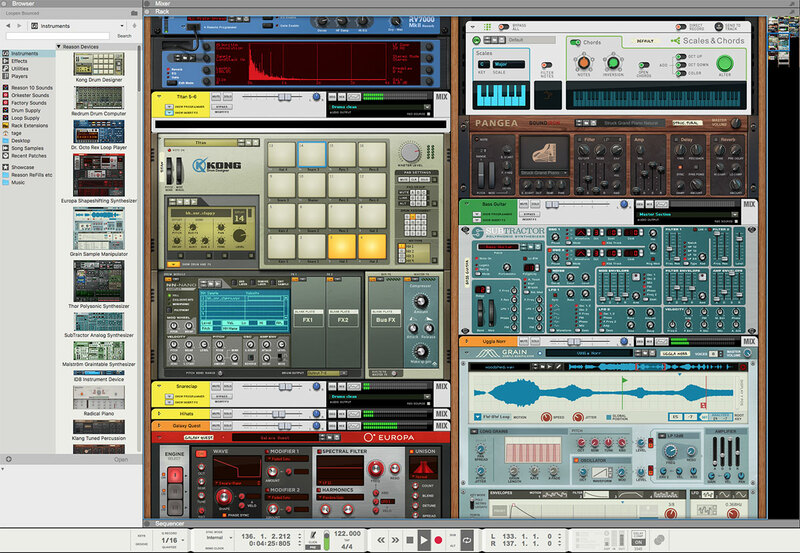 Reason is designed to act and feel like a musical instrument. What you see is really what you get. 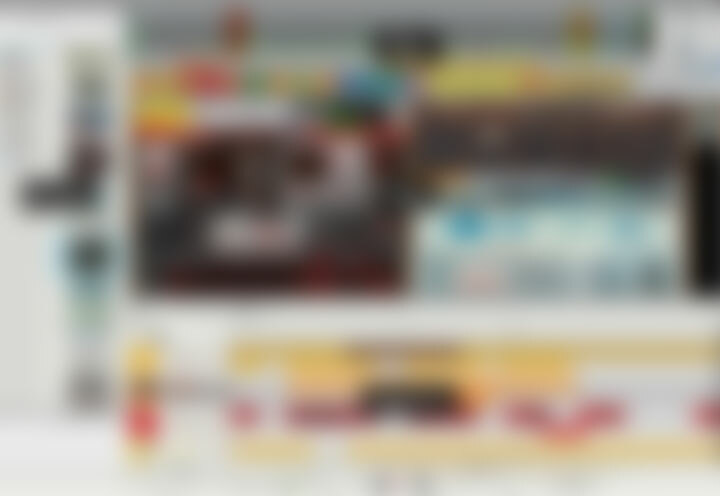 No hidden screens, sub-menus or dialogs to flip through. 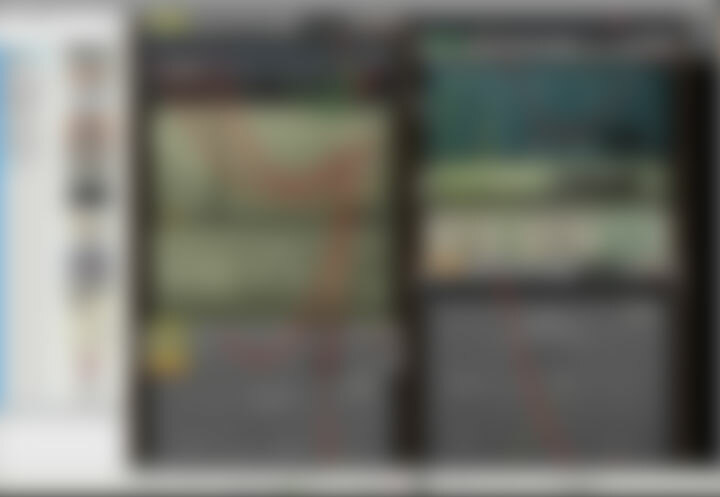 Drag and drop instruments and sounds, tweak anything you see on screen and save it all in a single document. 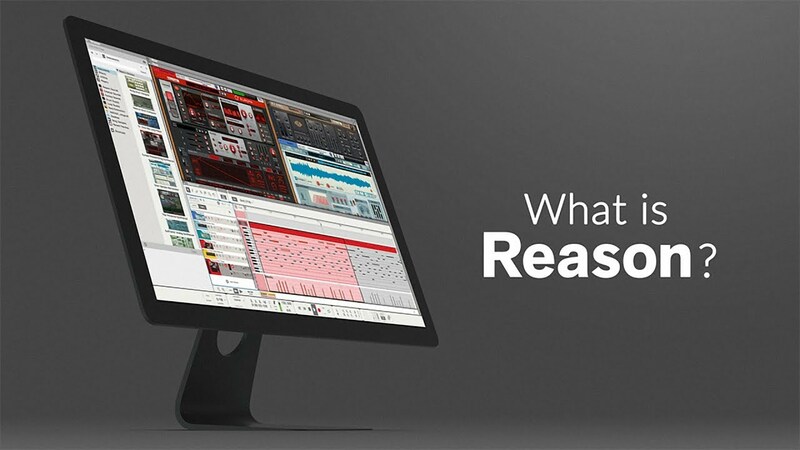 Twist knobs, push buttons, move faders – Reason's interface looks and feels like an instrument and seamlessly integrates with your favorite hardware controller. Record your knob and fader movements to create rich, automated mixes. As easy as that. Flip the rack over to access the backside with all the audio and CV cables and connectors. Here you can manually route anything to anything, just like in a real studio. Or simply leave it to Reason to automatically hook it all together, unlike a real studio. Capture your ideas with a minimum of mouse clicks. Immediate and intuitive, Reason's rock solid audio and MIDI sequencer gives you total control. 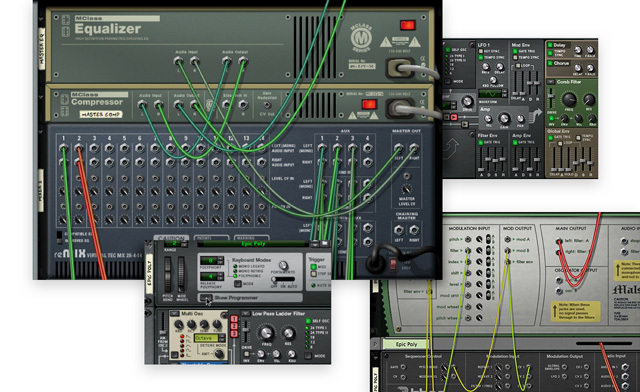 Capture your vocal or instrument performances with ease in Reason’s audio sequencer. 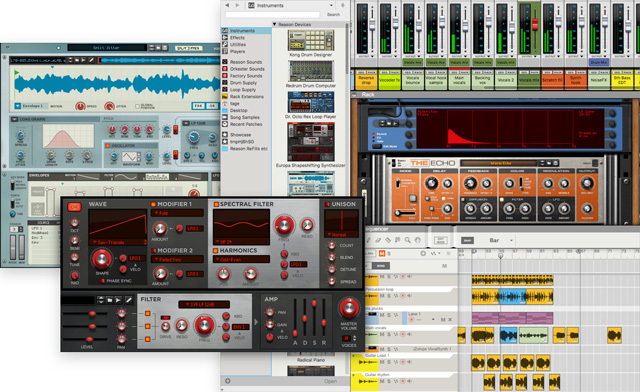 Overdub, edit, rearrange, comp and tweak fast and easy with Reason’s easy to use editing tools. Record and program MIDI and automation, tweak and tune until your inner perfectionist is satisfied. Reason’s fast and lean creative flow won’t get in your way. Finish your tracks in Reason’s million-dollar mixing console, faithfully modeled after an analog studio icon. It’s the final touch that can turn a good song into a great track. Change the tempo of your song and Reason will automatically time stretch all your audio with stunning quality. Effortlessly fix and improve vocal takes with the built-in Pitch Edit. Reason comes with everything you need to create amazing music. But at some point you may want to extend your sonic arsenal with third party instruments and effects.